A smaller chip is a big deal. WWDC may be just around the corner, but once the iOS 12 dust clears all eyes will be on the next iPhone. With rumors suggesting three new models, including a 6.5-inch one, Face ID enhancements, and faster charging, there’s a lot to be excited about, but a new report from Mark Gurman at Bloomberg suggests that the new iPhone could be revolutionary in a way most people might not even realize: the processor. iPhone supplier Taiwan Semiconductor Manufacturing Company has reportedly begun production on the processor for the next iPhone, and it could be an industry-first. 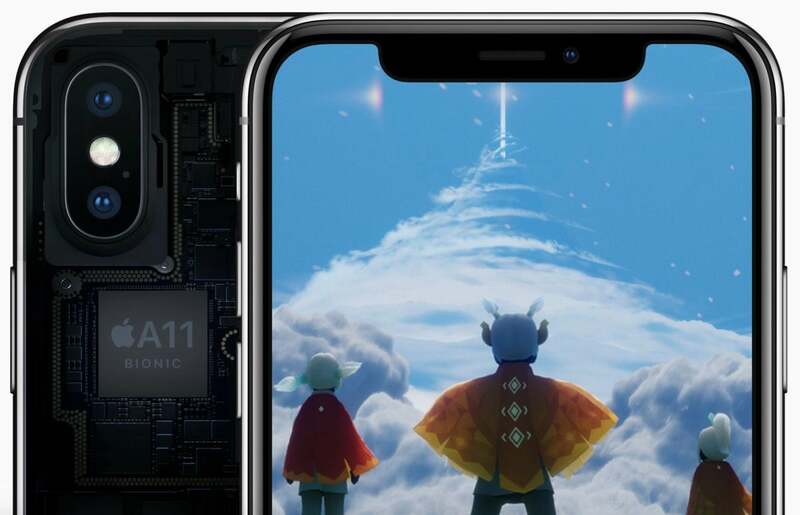 While we all know that the iPhone will have an A12 chip, following the longstanding pattern of annual chip upgrades, the new processor will reportedly use an 7-nanometer design. That obviously means it’s significantly smaller than the 10nm A11 Bionic, but it would also represent a breakthrough for both Apple and the industry, as other mobile chipmakers are working on 7nm die shrinks, but those aren’t expected to launch until next year. After all, Apple only just launched its own 10nm die process with the A11 (following Qualcomm's Snapdragon 835 earlier in 2017), so moving to 7nm just a generation later is pretty impressive. But along with bragging rights, the new manufacturing process is also sure to bring a host of improvements to the next iPhone. Here are five areas where the A12 could dramatically change the next crop of iPhones. Apple’s A11 Bionic was a big deal for the iPhone X, but the A12 could blow it out of the water. Apple always delivers a healthy speed boost when it launches a new iPhone, but the new 7nm chip could bring a huge jump over the A11. This year’s processor brought a 25 percent increase in performance coupled with a 30 percent graphics boost, but those numbers don’t tell the whole story. Since the iPhone X has so many more pixels to push, the new chip is actually much more powerful than the A11 Fusion. There’s a reason why Apple is moving so quickly from 10nm to 7nm, and I suspect it’s due to a major breakthrough in speed and power. With the “all-screen” experience reportedly coming to all three models this year, including with a 6.5-inch monster, the new chip will need to deliver serious graphics power to keep everything running smoothly. With the 7nm process, Apple could make the jump from three GPU cores to six, which would dramatically up gaming and app performance. Even with a smaller battery on the iPhone X, the two phones are pretty much equal. But when you consider how many more pixels the 2436 x 1125 iPhone X has to push compared to the 1920 x 1080 iPhone 7 Plus, the power efficiency of the A11 chip start to come into view. According to TSMC's own website, the 7nm die shrink results in 40 percent power reduction, so the new 7nm chip could lead to a real breakthrough in power efficiency that pushes the next iPhone into multiple days of battery life, especially if Apple finally puts 3,000mAh batteries in the new iPhones. 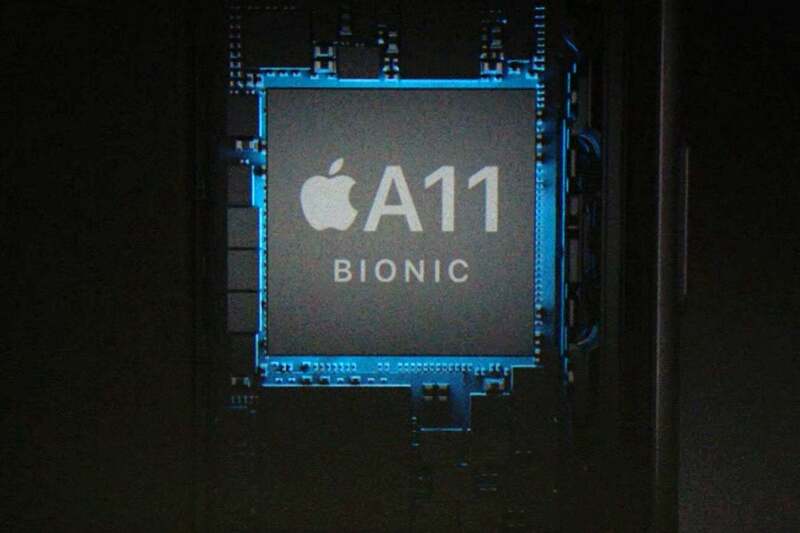 The A11 Bionic processor is the brains behind the iPhone X and its awesome camera, but the A12 will be even better. OK, we already know the next iPhone will have an improved camera, but the new chip could represent a huge jump in Apple’s homegrown image signal processor. Apple generally keeps the technical improvements of its ISP pretty close to the vest, but it’s easy to see the enhancements the A11 chip brought, including improved low-light autofocus and noise reduction, along with studio lighting effects and better portrait processing. With the 7nm A12, however, the camera on the next iPhones could be vastly improved, as Apple uses the new architecture to further refine the system with faster HEIF and HEVC encoding, super-slo-mo video recording, and whatever else Apple has been cooking up in its labs. A new die process will include enhancements to all of Apple’s chips, and topping the list is the ISP, arguably the most important piece of silicon in the whole phone. Shrinking the die isn’t just about making a chip more efficient, it’s also about making it smarter. 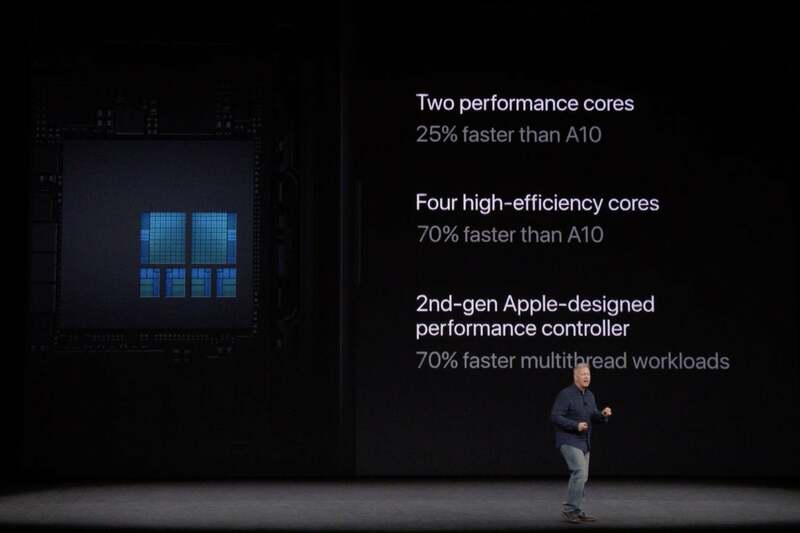 For the first time with the A11 Bionic, Apple built a dedicated dual-core neural engine inside the iPhone’s main processor designed for “specific machine learning algorithms and enables Face ID, Animoji and other features.” The results were quite good, but with Google continuing to turn up the AI heat, the A12 processor will need to be a whole lot smarter to compete. With things like Google Lens and AI cameras, Android phones are able to use their viewfinders to identify objects and adjust on the fly, and I suspect the new A12 chip will bring some major new features to Apple’s neural engine. The first Gigabit networks are likely to launch sometime before the next iPhone lands, and the competition to deliver Wi-Fi speeds on cellular networks is shaping up to be a fierce one. It won’t be long before all of the major carriers are offering Gigabit LTE and 5G plans, and the new modem on the A12 chip will likely be able to take advantage of them, possibly via a custom Apple-designed modem. And since Apple will be launching its own new video service soon, those blazingly fast speeds will be even more important.